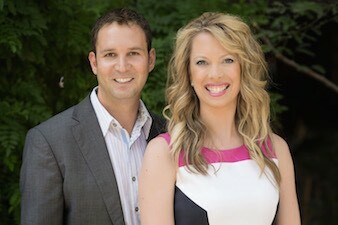 Geoff and Andrea Lilienfeld are Top Phoenix & Scottsdale Realtors that Specialize in Phoenix & Scottsdale Real Estate. From this site you can search all Phoenix and Scottsdale homes for sale. The Kay-Grant Group is the premier real estate group in the Scottsdale, Arizona and Phoenix, Arizona metropolitan areas. We work with sellers, buyers, and investors in Scottsdale, Phoenix, and the surrounding areas. We are known for our investing expertise, as we are real estate investors ourselves, as well as our aggressive marketing campaigns focused on selling real estate listings. 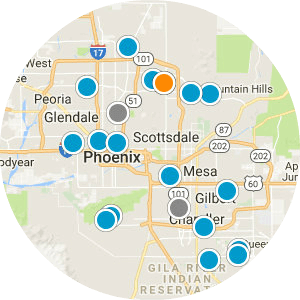 Our site allows you to search all Phoenix and Scottsdale homes for sale, as well as the rest of The Valley, directly from the MLS. All real estate listings on the Arizona Regional MLS (the MLS for most of Arizona including Phoenix, Scottsdale, Paradise Valley, and Tempe) will appear on our site. We really have a passion for real estate. It's for this reason that we are not only real estate agents, but we're also real estate investors. We are very knowledgeable about the Phoenix metro / Scottsdale real estate markets and would love to put that information to work for you, whether you're interested in purchasing or selling a home in Scottsdale or the rest of The Valley. In addition to assisting buyers and sellers with their single family home purchases and selling their homes, we are also among the few Scottsdale Realtors that truly understand condo living; living in an Old Town Scottsdale condo ourselves, as well as owning multiple Scottsdale condos as investment properties. Andrea Lilienfeld is the real face of The Kay-Grant Group and is extremely motivated and responsive. Her name is synonymous with industry knowledge and customer service. Andrea is a full-time Realtor and will ensure that your real estate transaction is completed with minimal effort from you. If you've purchased real estate in the past, you know how important it is to utilize a knowledgeable, professional full-time Realtor, not "a family member with a real estate license." If this is your first transaction, don't learn the hard way. Contact Andrea and we can assure you that you'll be singing the same praises as our other real estate clients. When it comes to understanding the market and navigating the inventory of homes for sale in Scottsdale and Phoenix, there's no better person to talk to than Andrea. Andrea holds a degree in Business Administration with an emphasis in Marketing from the University of Northern Iowa. Geoff holds a business degree in Accounting from Loyola University. Both are seasoned business professionals with over a decade of experience in contract negotiations. 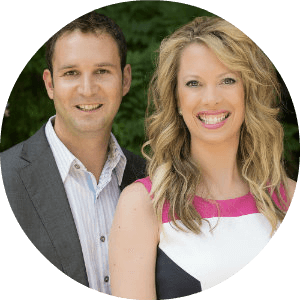 Andrea has a long professional history prior to becoming a real estate agent which includes executive roles in well-known enterprises. You can learn more about our history by clicking here. When listing your home with us you can be assured that you're in good hands and that we will work with you to ensure that your home is sold as quickly as possible. We do not simply list homes and forget them, we work with our clients to identify ways to improve marketability and work hard to attract complimentary buyers to your property. When we're employed to sell your house or condo we implement a full real estate marketing strategy that includes video tours, mailing of neighborhoods, open houses, and home staging (when applicable). Our site allows you to search all Phoenix and Scottsdale homes for sale as well as the rest of The Valley. We have also created some convenient search pages which can be found throughout the site include searching all North Scottsdale homes for sale and Scottsdale condos for sale. If you are interested in selling your house or condo, please complete our Contact Form or call Andrea at 480-387-3990. We can't thank you enough for giving us the opportunity to be your real estate agent and can't wait to exceed every expectation. Remember that we're here to help you navigate the Arizona real estate waters. While you can use our site to search homes and condos for sale on your own, we can also setup a custom search that will automatically e-mail you homes that match your criteria. We can also keep you updated on what your home is worth based on the sales prices of similar homes in your community / subdivision. We are passionate about being your Scottsdale Realtor for life, not just someone that helps you with a single transaction. This is an example of the many ways that we aggressively market all of our real estate listings. 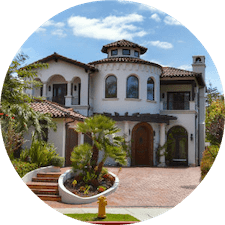 Because we are professional Scottsdale real estate agents, we are able to assist you in ways that less seasoned and part-time real estate agents simply can't. We have relationships with professional photographers, videographers, copywriters, home stagers, trades people, lenders, insurance agents, and title professionals. Because we perform a higher volume than most Scottsdale Realtors we're able to perform all of the above at affordable prices. In fact, we're generally able to have homes professionally staged in Phoenix and Scottsdale for a third of the price of what other Phoenix and Scottsdale real estate agents are able to. The trust that we've built within the real estate community allows us to often sell homes without them ever even going live on MLS. We work with dozens of buyers and have a network of individuals that are constantly looking for homes to purchase. When you choose to sell your homes with us you aren't "listing your home", you are hiring the top real estate professionals in Scottsdale to get your home sold, allowing you to move forward with the next phases of your life or investment portfolio. Please take a moment to call or text Andrea Lilienfeld at 480-387-3990 or complete our Contact Form and Andrea will get in contact with you. Once you work with our team, we will be your Realtors for life. The Kay-Grant Group is a member of the Scottsdale Area Association of Realtors.